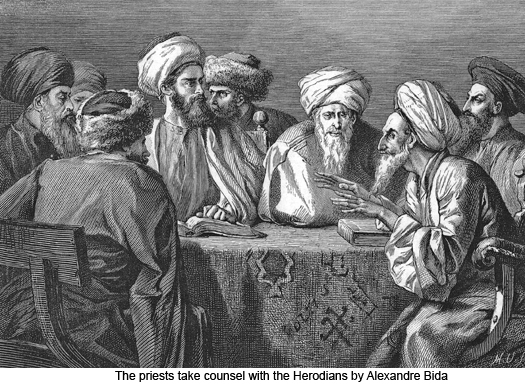 154:0.1 ON THE EVENTFUL Saturday night of April 30, as Jesus was speaking words of comfort and courage to his downcast and bewildered disciples, at Tiberias a council was being held between Herod Antipas and a group of special commissioners representing the Jerusalem Sanhedrin. These scribes and Pharisees urged Herod to arrest Jesus; they did their best to convince him that Jesus was stirring up the populace to dissension and even to rebellion. But Herod refused to take action against him as a political offender. 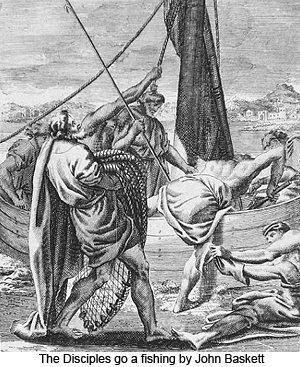 Herod’s advisers had correctly reported the episode across the lake when the people sought to proclaim Jesus king and how he rejected the proposal. 154:0.2 One of Herod’s official family, Chuza, whose wife belonged to the women’s ministering corps, had informed him that Jesus did not propose to meddle with the affairs of earthly rule; that he was only concerned with the establishment of the spiritual brotherhood of his believers, which brotherhood he called the kingdom of heaven. Herod had confidence in Chuza’s reports, so much so that he refused to interfere with Jesus’ activities. Herod was also influenced at this time, in his attitude toward Jesus, by his superstitious fear of John the Baptist. Herod was one of those apostate Jews who, while he believed nothing, feared everything. He had a bad conscience for having put John to death, and he did not want to become entangled in these intrigues against Jesus. He knew of many cases of sickness which had been apparently healed by Jesus, and he regarded him as either a prophet or a relatively harmless religious fanatic. 154:1.3 The last of the seaside meetings was held on Sabbath afternoon, May 7. Jesus talked to less than one hundred and fifty who had assembled at that time. This Saturday night marked the time of the lowest ebb in the tide of popular regard for Jesus and his teachings. From then on there was a steady, slow, but more healthful and dependable growth in favorable sentiment; a new following was built up which was better grounded in spiritual faith and true religious experience. The more or less composite and compromising transition stage between the materialistic concepts of the kingdom held by the Master’s followers and those more idealistic and spiritual concepts taught by Jesus, had now definitely ended. From now on there was a more open proclamation of the gospel of the kingdom in its larger scope and in its far-flung spiritual implications. 154:2.1 Sunday, May 8, A.D. 29, at Jerusalem, the Sanhedrin passed a decree closing all the synagogues of Palestine to Jesus and his followers. This was a new and unprecedented usurpation of authority by the Jerusalem Sanhedrin. Theretofore each synagogue had existed and functioned as an independent congregation of worshipers and was under the rule and direction of its own board of governors. 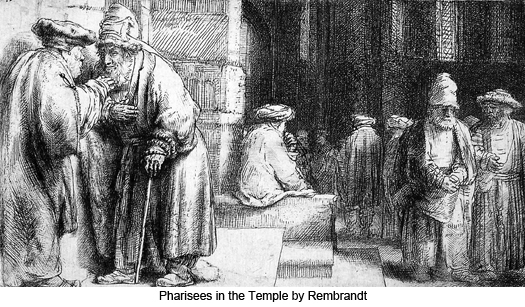 Only the synagogues of Jerusalem had been subject to the authority of the Sanhedrin. This summary action of the Sanhedrin was followed by the resignation of five of its members. One hundred messengers were immediately dispatched to convey and enforce this decree. Within the short space of two weeks every synagogue in Palestine had bowed to this manifesto of the Sanhedrin except the synagogue at Hebron. The rulers of the Hebron synagogue refused to acknowledge the right of the Sanhedrin to exercise such jurisdiction over their assembly. This refusal to accede to the Jerusalem decree was based on their contention of congregational autonomy rather than on sympathy with Jesus’ cause. Shortly thereafter the Hebron synagogue was destroyed by fire. 154:2.3 This week of rest enabled Jesus to visit many families and groups about the seaside. He also went fishing with David Zebedee on several occasions, and while he went about alone much of the time, there always lurked near by two or three of David’s most trusted messengers, who had no uncertain orders from their chief respecting the safeguarding of Jesus. There was no public teaching of any sort during this week of rest. 154:2.4 This was the week that Nathaniel and James Zebedee suffered from more than a slight illness. For three days and nights they were acutely afflicted with a painful digestive disturbance. On the third night Jesus sent Salome, James’s mother, to her rest, while he ministered to his suffering apostles. Of course Jesus could have instantly healed these two men, but that is not the method of either the Son or the Father in dealing with these commonplace difficulties and afflictions of the children of men on the evolutionary worlds of time and space. Never once, throughout all of his eventful life in the flesh, did Jesus engage in any sort of supernatural ministration to any member of his earth family or in behalf of any one of his immediate followers. 154:3.1 On May 16 the second conference at Tiberias between the authorities at Jerusalem and Herod Antipas was convened. Both the religious and the political leaders from Jerusalem were in attendance. The Jewish leaders were able to report to Herod that practically all the synagogues in both Galilee and Judea were closed to Jesus’ teachings. A new effort was made to have Herod place Jesus under arrest, but he refused to do their bidding. 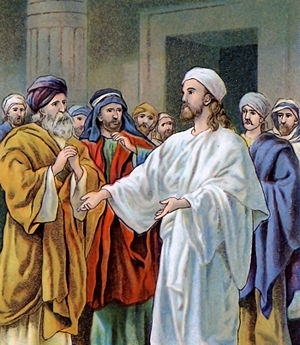 On May 18, however, Herod did agree to the plan of permitting the Sanhedrin authorities to seize Jesus and carry him to Jerusalem to be tried on religious charges, provided the Roman ruler of Judea concurred in such an arrangement. Meanwhile, Jesus’ enemies were industriously spreading the rumor throughout Galilee that Herod had become hostile to Jesus, and that he meant to exterminate all who believed in his teachings. 154:3.2 On Saturday night, May 21, word reached Tiberias that the civil authorities at Jerusalem had no objection to the agreement between Herod and the Pharisees that Jesus be seized and carried to Jerusalem for trial before the Sanhedrin on charges of flouting the sacred laws of the Jewish nation. 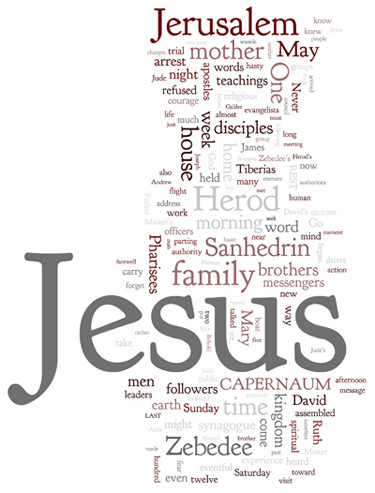 Accordingly, just before midnight of this day, Herod signed the decree which authorized the officers of the Sanhedrin to seize Jesus within Herod’s domains and forcibly to carry him to Jerusalem for trial. Strong pressure from many sides was brought to bear upon Herod before he consented to grant this permission, and he well knew that Jesus could not expect a fair trial before his bitter enemies at Jerusalem. 154:4.6 There was much talk about Jesus’ preaching doctrines which were upsetting for the common people; his enemies maintained that his teachings were impractical, that everything would go to pieces if everybody made an honest effort to live in accordance with his ideas. And the men of many subsequent generations have said the same things. Many intelligent and well-meaning men, even in the more enlightened age of these revelations, maintain that modern civilization could not have been built upon the teachings of Jesus—and they are partially right. But all such doubters forget that a much better civilization could have been built upon his teachings, and sometime will be. This world has never seriously tried to carry out the teachings of Jesus on a large scale, notwithstanding that halfhearted attempts have often been made to follow the doctrines of so-called Christianity. 154:5.1 May 22 was an eventful day in the life of Jesus. On this Sunday morning, before daybreak, one of David’s messengers arrived in great haste from Tiberias, bringing the word that Herod had authorized, or was about to authorize, the arrest of Jesus by the officers of the Sanhedrin. The receipt of the news of this impending danger caused David Zebedee to arouse his messengers and send them out to all the local groups of disciples, summoning them for an emergency council at seven o’clock that morning. When the sister-in-law of Jude (Jesus’ brother) heard this alarming report, she hastened word to all of Jesus’ family who dwelt near by, summoning them forthwith to assemble at Zebedee’s house. And in response to this hasty call, presently there were assembled Mary, James, Joseph, Jude, and Ruth. 154:5.2 At this early morning meeting Jesus imparted his farewell instructions to the assembled disciples; that is, he bade them farewell for the time being, knowing well that they would soon be dispersed from Capernaum. He directed them all to seek God for guidance and to carry on the work of the kingdom regardless of consequences. The evangelists were to labor as they saw fit until such time as they might be called. He selected twelve of the evangelists to accompany him; the twelve apostles he directed to remain with him no matter what happened. The twelve women he instructed to remain at the Zebedee house and at Peter’s house until he should send for them. 154:6.1 It was about eight o’clock on this Sunday morning when five members of Jesus’ earth family arrived on the scene in response to the urgent summons of Jude’s sister-in-law. Of all his family in the flesh, only one, Ruth, believed wholeheartedly and continuously in the divinity of his mission on earth. 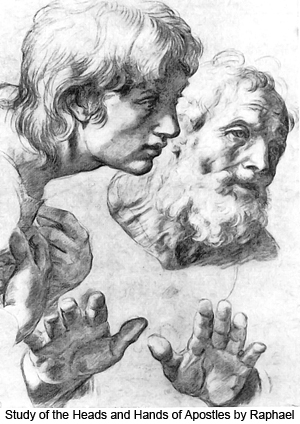 Jude and James, and even Joseph, still retained much of their faith in Jesus, but they had permitted pride to interfere with their better judgment and real spiritual inclinations. Mary was likewise torn between love and fear, between mother love and family pride. Though she was harassed by doubts, she could never quite forget the visit of Gabriel ere Jesus was born. The Pharisees had been laboring to persuade Mary that Jesus was beside himself, demented. They urged her to go with her sons and seek to dissuade him from further efforts at public teaching. They assured Mary that soon Jesus’ health would break, and that only dishonor and disgrace could come upon the entire family as a result of allowing him to go on. And so, when the word came from Jude’s sister-in-law, all five of them started at once for Zebedee’s house, having been together at Mary’s home, where they had met with the Pharisees the evening before. They had talked with the Jerusalem leaders long into the night, and all were more or less convinced that Jesus was acting strangely, that he had acted strangely for some time. While Ruth could not explain all of his conduct, she insisted that he had always treated his family fairly and refused to agree to the program of trying to dissuade him from further work. 154:6.2 On the way to Zebedee’s house they talked these things over and agreed among themselves to try to persuade Jesus to come home with them, for, said Mary: “I know I could influence my son if he would only come home and listen to me.” James and Jude had heard rumors concerning the plans to arrest Jesus and take him to Jerusalem for trial. They also feared for their own safety. As long as Jesus was a popular figure in the public eye, his family allowed matters to drift along, but now that the people of Capernaum and the leaders at Jerusalem had suddenly turned against him, they began keenly to feel the pressure of the supposed disgrace of their embarrassing position. 154:6.3 They had expected to meet Jesus, take him aside, and urge him to go home with them. They had thought to assure him that they would forget his neglect of them—they would forgive and forget—if he would only give up the foolishness of trying to preach a new religion which could bring only trouble to himself and dishonor upon his family. To all of this Ruth would say only: “I will tell my brother that I think he is a man of God, and that I hope he would be willing to die before he would allow these wicked Pharisees to stop his preaching.” Joseph promised to keep Ruth quiet while the others labored with Jesus. 154:6.4 When they reached the Zebedee house, Jesus was in the very midst of delivering his parting address to the disciples. They sought to gain entrance to the house, but it was crowded to overflowing. Finally they established themselves on the back porch and had word passed in to Jesus, from person to person, so that it finally was whispered to him by Simon Peter, who interrupted his talking for the purpose, and who said: “Behold, your mother and your brothers are outside, and they are very anxious to speak with you.” Now it did not occur to his mother how important was the giving of this parting message to his followers, neither did she know that his address was likely to be terminated any moment by the arrival of his apprehenders. She really thought, after so long an apparent estrangement, in view of the fact that she and his brothers had shown the grace actually to come to him, that Jesus would cease speaking and come to them the moment he received word they were waiting. 154:6.6 And when Mary heard these words, she collapsed in Jude’s arms. They carried her out in the garden to revive her while Jesus spoke the concluding words of his parting message. He would then have gone out to confer with his mother and his brothers, but a messenger arrived in haste from Tiberias bringing word that the officers of the Sanhedrin were on their way with authority to arrest Jesus and carry him to Jerusalem. Andrew received this message and, interrupting Jesus, told it to him. 154:6.8 Mary and Jesus’ brothers thought that Jesus did not understand them, that he had lost interest in them, little realizing that it was they who failed to understand Jesus. Jesus fully understood how difficult it is for men to break with their past. He knew how human beings are swayed by the preacher’s eloquence, and how the conscience responds to emotional appeal as the mind does to logic and reason, but he also knew how far more difficult it is to persuade men to disown the past. 154:6.9 It is forever true that all who may think they are misunderstood or not appreciated have in Jesus a sympathizing friend and an understanding counselor. He had warned his apostles that a man’s foes may be they of his own household, but he had hardly realized how near this prediction would come to apply to his own experience. Jesus did not forsake his earth family to do his Father’s work—they forsook him. 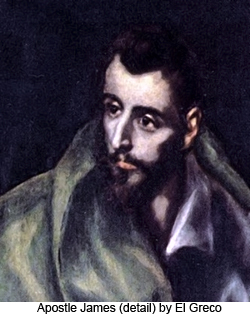 Later on, after the Master’s death and resurrection, when James became connected with the early Christian movement, he suffered immeasurably as a result of his failure to enjoy this earlier association with Jesus and his disciples. 154:6.11 The haste of their flight was augmented by the arrival of a party of David’s messengers at the rear entrance of the Zebedee home. The commotion produced by these men frightened the apostles into thinking that these new arrivals might be their apprehenders, and in fear of immediate arrest, they hastened through the front entrance to the waiting boat. And all of this explains why Jesus did not see his family waiting on the back porch. 154:7.2 Following the Master’s boat was another and smaller craft, containing six of David’s messengers, who had instructions to maintain contact with Jesus and his associates and to see that information of their whereabouts and safety was regularly transmitted to the home of Zebedee in Bethsaida, which had served as headquarters for the work of the kingdom for some time. But Jesus was never again to make his home at the house of Zebedee. From now on, throughout the remainder of his earth life, the Master truly “had not where to lay his head.” No more did he have even the semblance of a settled abode. 154:7.3 They rowed over to near the village of Kheresa, put their boat in the custody of friends, and began the wanderings of this eventful last year of the Master’s life on earth. 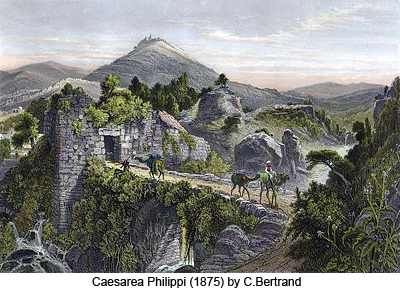 For a time they remained in the domains of Philip, going from Kheresa up to Caesarea-Philippi thence making their way over to the coast of Phoenicia. 154:7.5 Jesus’ family returned to their home in Capernaum and spent almost a week in talking, debating, and praying. They were filled with confusion and consternation. They enjoyed no peace of mind until Thursday afternoon, when Ruth returned from a visit to the Zebedee house, where she learned from David that her father-brother was safe and in good health and making his way toward the Phoenician coast.